A towing vehicle within Texas must be of height less than or equal to 14 feet and width less than 8½ feet. Besides that, the trailer used should have a height less than 14 feet, length not more than 45 feet and width within 8 feet 6 inches. In addition to that, the combined length of both has to be within 65 feet. 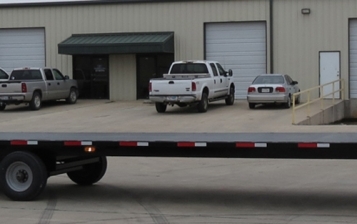 As per section 545.409 inscribed in the transportation code of Texas, the connection between a trailer and its towing vehicle has to be sufficiently strong for pulling the entire weight of the trailer. The tow bar should be highlighted all the time using a cloth or white flag. Section 545.410 makes usage of safety chains and warning signs or flares necessary. 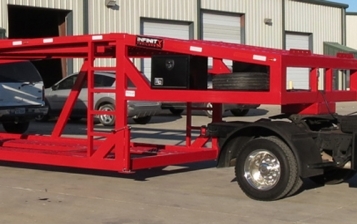 Moreover, trailers that weigh over 4500 lbs. should have brakes and breakaways must be present on trailers more than 3000 lbs. The maximum speed at which a towing vehicle can be driven within the perimeter of Texas is 70 mph on interstate except posted otherwise. However, this law is applicable only during daytime on light trucks & passenger vehicles towing small trailers, carrying animals, a boat or a motorcycle under the code 545.352. At night, the maximum speed decreases by 5 mph. For fifth wheel trailers, the speed limits during day and night are 60 mph and 55 mph respectively. 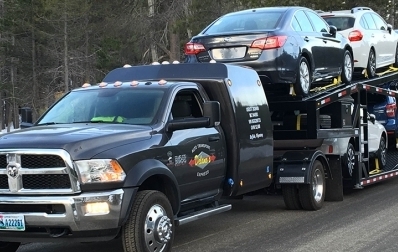 According to section 545.409, a tow vehicle can haul only up to three vehicles using the saddle-mount technique. Under section 545.410, letting a child less than 18 years of age ride in a flatbed trailer is illegal. On top of that, it is usually forbidden to haul a trailer with passengers. So this is basically the law structure of Texas for towing and trailering. Want more such informative posts? Keep watching our blog space and don’t forget to share.